Today I will be writing about how I completed my project. The quote on my page was said by none other than Nelson Mandela. 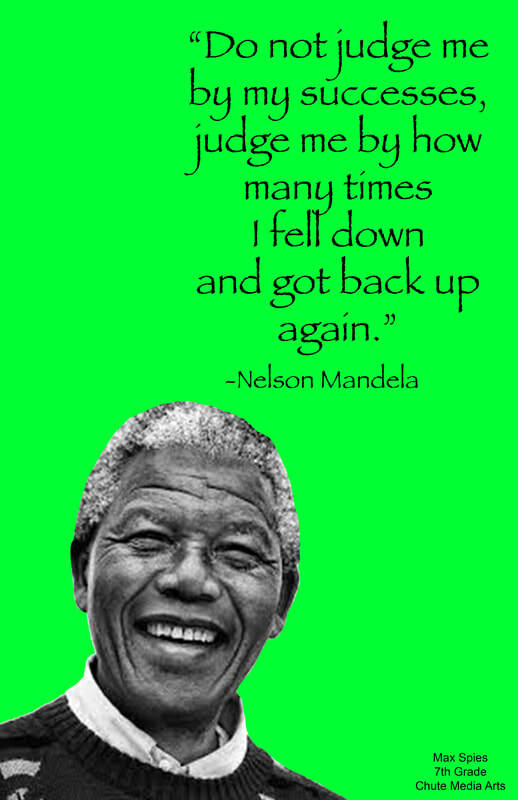 I think that quote describes me in a way because I don't like it when people judge me if I fail at something because I always pick myself back up again. I picked a green background because it let the black words stand out so it's easy to read. This quote is about not wanting to be judged by what they have completed, but at how tough they are at heart and how they don't give up.